The Subclass 457 Visa is a work permit for professionals from foreign countries. This visa is intended for qualified international professionals who are sponsored and appointed to work in Australia on a Temporary Basis. An enterprise/community or agency of government may sponsor a skilled worker on the condition that they are unable to find a competent Australian citizen or a trained permanent resident to fill the vacancy on the list of consolidated sponsored professions. 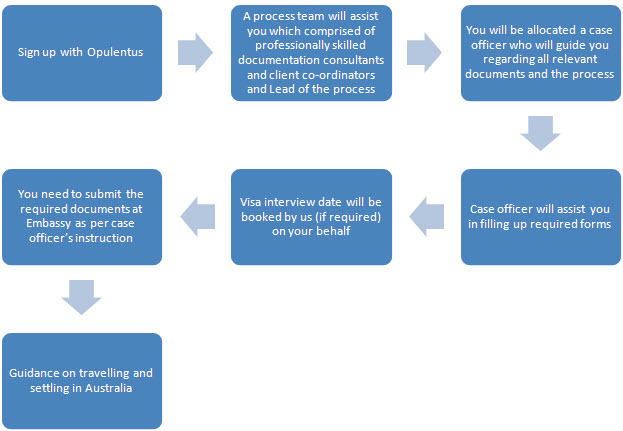 An employee requests a visa Applications/forms for any of these three stages and can be simultaneously submitted. Your employer is obliged to sponsor you to complete the qualification position. You must have the skills, qualifications, experience, and jobs that meet your job requirements. Australia is a country that welcomes several persons to it's aboard and owing to the excellent conditions of living and staying there; many people strive to get there. Opulentus can give you the necessary assistance that you need to ease up the application process. Approach us today and see why thousands of people trust us at a time by applying for different Immigration Visas through us.